Need a custom ecommerce website without the custom price? Let’s face it: your ecommerce store doesn’t function exactly the way you want it to. The bells and whistles you were counting on from your shopping platform or template didn’t quite materialize, you can’t fix it yourself, and you often feel frustrated and helpless. But who can afford a fully custom site like Amazon or Target? [Answer: Amazon and Target.] For a small business or startup, investing in improvements and resources is difficult, as your focus is often on money going out rather than the benefits coming back. We get it. But rather than “making do” and endlessly multitasking, what’s vital to your long term success is investing in customization and/or automation wherever you can. The ability to free up your time for more important things becomes invaluable — not to mention providing a good user experience for your customers. 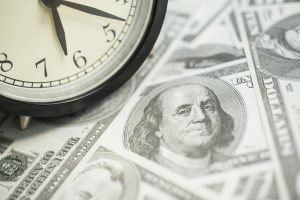 Time and money: what do you have more of … or less of? If you’d like to make improvements to your store without breaking the bank, buying pre-built, custom add-ons (or Store Mods, as we call them) can enhance your ecommerce site tremendously. Not only do they make your life easier, good functioning sites make happy customers and happy customers buy more, so focusing on good UX is great for your bottom line. Not convinced? If Store Mods don’t sound like necessities, it’s probably because you think they are already available through your shopping platform, but guess what? They’re not. Every business is different, and shopping platforms cannot be all things to all people. Our Store Mods were built to meet the expressed needs of our clients and they work. Is free time and sanity important to you? Would you agree that good user experience pays off in increased sales? Is a small investment now worth long-term gains? We say yes (especially to that first one!). No need to track down a developer and pay for many hours’ work to start from scratch. We’ve created a variety of mods that can be tailored to fit your ecommerce store. You’ll get cool new tools that will enable your online store to do more than you ever thought possible, making your business and your customers’ shopping experience better than ever. It’s like Inkblot Digital’s very own App Store! Do you have a need that’s not addressed here? We can also create custom code to fix just about any problem you’re trying to solve. Stop settling for the status quo and experience status WHOA! Just contact us and we’d be happy to brainstorm the perfect solution with you. Inkblot Digital is your go-to source for useful tools and services that make your ecommerce store easier to manage — and make your life less stressful. Check out our Store Mod Marketplace for details and pricing on all our mod choices.